Thousands of people in the U.S. die from the flu and its complications. Most fatalities are the elderly, young children, and those with a weakened immune system. Flu vaccine decreases of risk getting the flu. It is altered every year to protect people against strains expected in the late fall. The virus spreads person to person through respiratory droplets. The current “trivalent” vaccine protects against three virus strains. There is a “quadrivalent” vaccine that protects against four strains. These vaccines are available in an injection and nasal spray. They contain killed (inactive) viruses. They are approved for people six months of age and older. People who receive the vaccine might have a low-grade fever for a day or two. A higher-dose version is available for those sixty five and older. It is injected into the muscle or below the skin. Nasal spray flu vaccine contains live, weakened flu virus. It is approved for those people two through forty nine. It is recommended for people with asthma or children under five who have episodes of wheezing. It is not recommended for pregnant women. · Those with sickle cell anemia. · People living with someone who has long term health problems. · Those with kidney disease, anemia, severe asthma, long term liver disease, diabetes, and chronic anemia. · People who have a weakened immune system, including cancer and AIDS. · Those who take physician-prescribed long-term steroids. · People nine and older should get a flu shot every year. Children six to eight years should get two flu shots at least one month apart, if they are receiving the vaccine for the first time. Most people have no vaccine side effects. 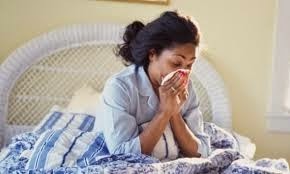 Soreness at the injection site and minor aches, or low grade fever could occur for several days. Likelihood of a flu-induced allergic reaction is rare. The seasonal flu vaccine is safe for pregnant women and their babies. Side effects of the nasal spray vaccine could include fever, headache, runny nose, vomiting, and wheezing. These symptoms are not severe of life threatening. This current year’s vaccine is “recombinant.” It is not made from chicken eggs. However, people who are allergic to chickens or egg protein should notify their health care provider before receiving the vaccine. Source: Centers for Disease Control and Prevention (CDC). Summary Recommendations: Prevention and Control of Influenza with Vaccines: Recommendations of the Advisory Committee on Immunization Practices (ACIP) United States, 2013-2014. Questions or comments: contact Dr. Clem at Clement.hanson@blogspot.com.